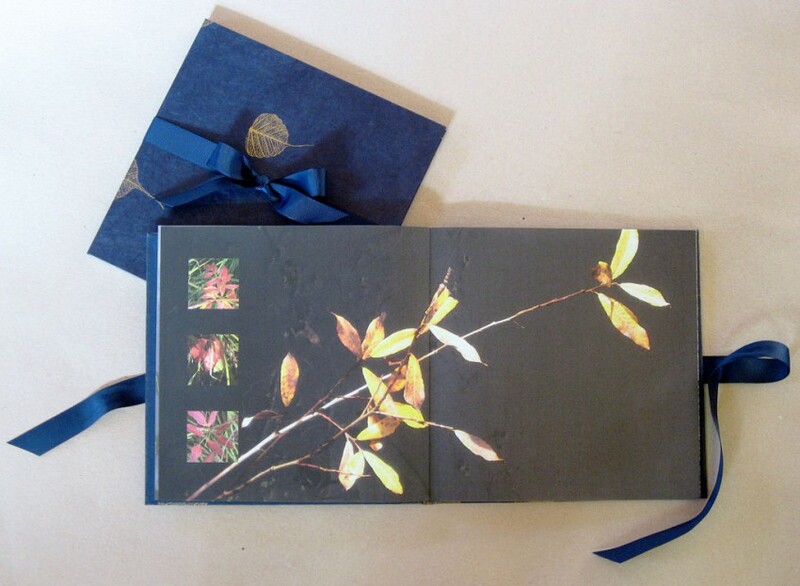 Limited edition (5) artist’s book in hard wrapper. Giclée printing. 100% cotton rag text block, Indian leaf print papers, Canson Mi-Teintes paper, Davey board, grosgrain ribbon.